Love is in the Air and I’m 24! February 11-15 was a week of love. This is, I’ve never felt so loved and appreciated at my school. The week started like any other. Everybody was slightly depressed due to the slushy, cold, dark weather, the load of learning and teaching non-stop every day from 8-4 was taking its tolls on my fellow English teachers and I was getting more and more stressed each day from the many projects I had climaxing in the next month. However, Thursday finally arrived and brought with it so much Valentine’s day cheer, the whole school was shaken from its monotony. The day before, I had taught a special lesson on how we celebrate Valentine’s day in the USA. In addition, we chose special pet names in English for our valentines then learned how to write similes and acrostic poems. 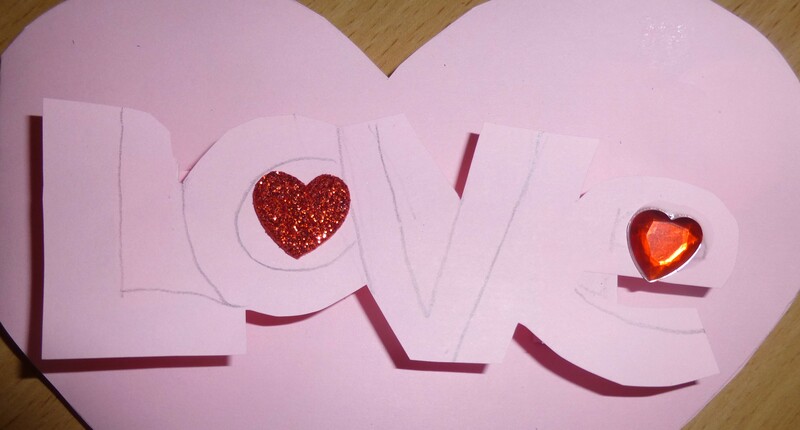 On Valentine’s day, we spent the whole lesson making Valentine’s day cards out of construction paper into which we wrote our poems and sent them to our Valentines. I had a blast working with the kids and was constantly blown away by their spontaneous poetic skill. I think my favorite simile is still, “I love you like a cup of hot tea after sport training”. However, I nearly died laughing when one student almost wrote his mother, “I love you like I love any other women”. Though out the lessons, I received more Valentine’s day cards and chocolates then ever in my life. I didn’t even know what to do with them other than start collecting them in a little bag. However, my favorite valentine wasn’t a card but a necklace that one of my 5th form students had just made in her handicraft class. 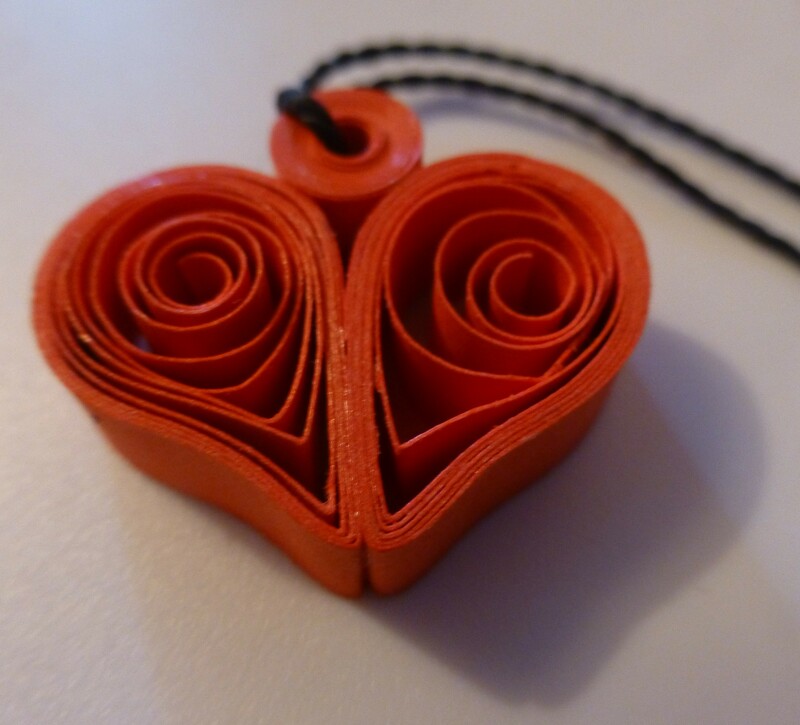 It is a little heart made from small strips of curled paper that form an image when combined with other curls. I can’t believe she is only 12 years old and made something so beautiful! The next day, thanks to my students’ obsession with social media, everybody knew it was my birthday. I walked into every classroom to a chorus of ‘Happy Birthday to you, Happy Birthday to you….’. I received big hugs from all my colleagues and so many well wishes that I gave up trying to translate them all. 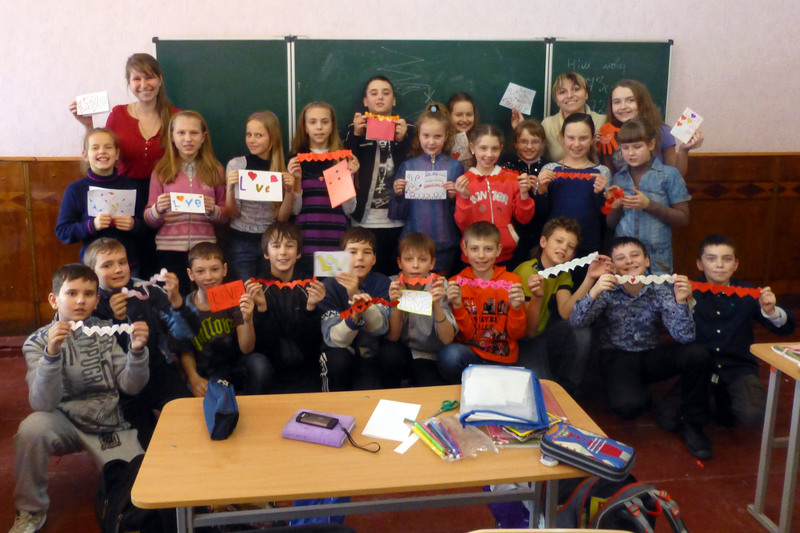 My wonderful fellow English teachers even gathered some money and presented me with a traditional wooden Ukrainian necklace. It is beautiful and I can’t wait to wear it around the USA. Growing up, I always enjoyed my birthday the most when I had a friend whose birthday was close to mine so we could celebrate together. Therefore, I was extremely happy that not only was I born the same day as one of our assistant directors, but also a fellow English teacher as well as on the holiday when Ukrainians celebrate the winter season meeting spring. With so many things to celebrate in one day, our Director called a school wide meeting of the teachers in order to congratulate the three of us as well as the rest of the school with the holiday. I have never felt so appreciated during my service. On Saturday, I traveled to Kiev for a Technology for Development Working Group meeting. Afterwards, I continued my family’s tradition of eating Indian food on my birthday by splurging at a restaurant I’ve been eyeing on the main street of Kiev since I arrived in country. Mmmmmm. nice to see you yesterday.